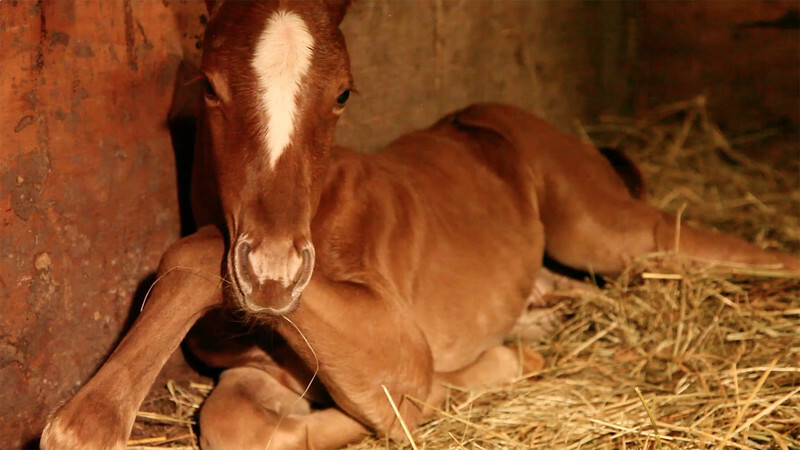 The mare giving birth in this video, Noodles, is owned by Patricia Hancock. Noodles was a week over due to have her new filly-foal. She finally brought her new baby, Doodles, into this world at 2:46 am, just after Mother's Day, on May 12, 2014. Noodles has proved to be an excellent mother, carefully watching over Doodles and guiding her to nurse. What a proud momma!